Soap Dispenser Heritage BLUE Ball Mason Pint Jar. I love all the products I get from ozfarmer they have been well used daily. I love them although the pump is not secure it tends to move around has to be adjusted often.I bought a few ...each one has the same problem although they look great. These are really good quality I use mine in he bathroom for shampoo and conditioner, we also have the big green one in the kitchen we use for washing up detergent. 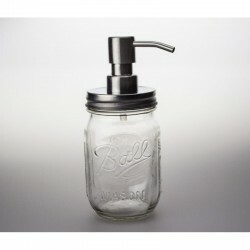 Soap Dispenser Heritage BLUE Ball Mason Pint Jar Regular Mouth With Stainless Steel Pump And Lid! High Quality Soap Dispenser Blue Pint Regular Mouth Stainless Steel Pump! 100's sold to boutique hotels all over Australia! Please note: These dispensers come as complete units ONLY. Dispenser lids are not available as an individual purchase. Ball Mason Pint Regular Mouth Bottle and Lid SINGLE BPA Free LidBall Regular Mouth Pint (437ml) ..
Ball Mason Half Gallon (2 Litre) Wide Mouth Jar and Lid SINGLE BPA Free LidBall Wide Mouth Half ..
Kerr Half Pint Wide Mouth Bottle and Lid SINGLEKerr Wide Mouth (8-oz / 230ml) half pint. Glass .. SINGLE Ball Heritage Collection Blue Pint Jar LIMITED EDITION2013 marks the 100th anniversary o..
Quart Green Soap Dispenser With Stainless Steel Pump And Lid! High Quality Soap Dispenser Quart Green Wide Mouth With Stainless Steel Pump And Lid!1 Ball Herita.. Soap Dispenser Heritage GREEN Ball Mason Pint Jar Regular Mouth With Stainless Steel Pump!High Qua..
High Quality Soap Dispenser Pint Regular Mouth Stainless Steel Pump!1 Ball® Regular Mouth Glass ..
High Quality Soap Dispenser Quart Wide Mouth Stainless Steel Pump!1 Ball® Wide Mouth Glass Preserv.. Brand new 300ml round jars in a 10 pack. These jars are the perfect size for a range of uses inclu..
Kerr Wide Mouth (8-oz / 230ml) half pint. 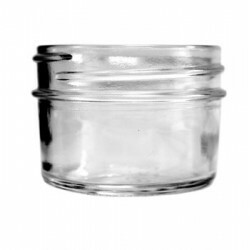 Glass Preserving Jars are ideal for fresh preserving whole..